Misty Soldwisch has been selling real estate in Central Iowa since 1999. As both a Broker/Owner and Team Leader, Misty has developed a culture of continuous improvement and education. 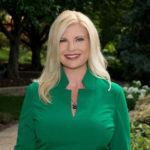 As the Better Homes and Gardens Real Estate broker in the Des Moines market, she provides local coaching, market news and training through "BeBetterDSM" as well as regular business planning workshops.